Earlier this week, we got together with our friends from the Mat Mania Podcast to record a mega-collaboration episode where we broke down the WrestleMania card. That alone took us a solid two hours, so we never even got to the other stuff going on this weekend – from WWE’s Hall of Fame Induction Ceremony and NXT TakeOver to all of the indie shows going on. With that said, I’ve taken it upon myself to break it down while sitting on my flight to NOLA as my friend and colleague Jared prepares for copious amounts of fruity cocktails by getting a couple more hours of sleep in. This year’s WWE Hall of Fame class is headlined by Goldberg. There’s no doubt that this induction is deserved, as Goldberg played a pivotal role in the success of WCW in the late 1990s. “The Streak” became simultaneously a target of reverence and ridicule, as we cheered on each additional win but also questioned how he seemingly would rack up another dozen wins between episodes of Nitro. But even when we laughed, we’d all sit at attention when the security guards would pound on his door to walk him to Gorilla Position. And though we had to put up with a return in recent years to bolster the Road to WrestleMania and kill off Kevin Owens’ title reign, we can still look back at the man’s career as one to remember fondly. NXT TakeOver shows have become a staple of WWE “Big Four” shows. If you’re going to be in town for Royal Rumble, WrestleMania, SummerSlam, or Survivor Series – you ought to be in attendance at the previous night’s TakeOver event, as well. The mission seems to be simple for these shows: set a high bar and dare the main roster to put on as good a show the following night. This year’s TakeOver lineup has high expectations, as we see multiple championships on the line, blood feuds, and even the debut of a new title. Recognizing an abundance of talent at the NXT level, some of whom may never actually see extended careers on the main roster, WWE sought to provide a new title for the talent to compete for. And thus, we have the NXT North American Championship. Though previous championships have had inaugural champions crowned at the end of a grueling tournament, this one will be awarded at the end of a singular (likely brutal) ladder match. EC3 makes his in-ring debut as he returns to NXT from a stellar stint at IMPACT Wrestling. Adam Cole will see action twice and has an opportunity to show just how impressive he can be to an audience that may not have followed his time in Ring of Honor by taking part in two championship matches in a single night. Velveteen Dream has had an impressive early run with both a great presence on the mic and supreme athleticism in the ring. We’ll see another debut as Ricochet completes his long journey from Lucha Underground to a WWE ring. Lars Sullivan continues to make his push as a hungry and powerful monster. And finally, SAnitY’s Killian Dain continues to make a name for himself in singles competition. This match has “indieriffic” written all over it and is likely to set the Smoothie King Center on fire. Prediction: Adam Cole perseveres through his second match of the night and walks out with two championships over his shoulders. 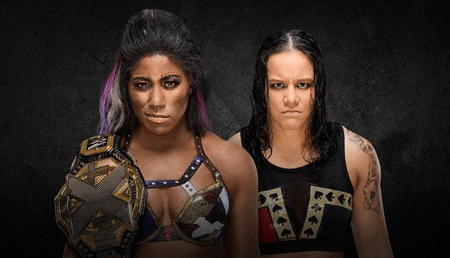 Prediction: The Queen of Spades, Shayna Baszler, will walk out with the title and leave Ember Moon with a devastating injury. THIS is the match we’re most excited about at The Steel Cage Podcast Network. Johnny Gargano has had a fantastic Daniel Bryan-level run in NXT, drawing upon the emotion of the crowd as the perennial underdog who was SO close to winning it all… only to have his former friend Tommaso Ciampa take it all away from him. 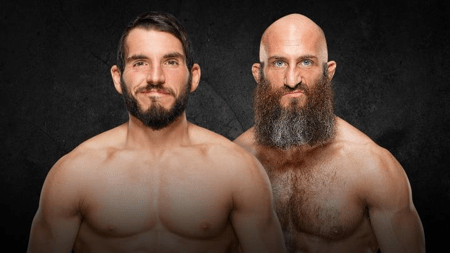 Ciampa’s return from injury has positioned him in a phenomenal role as the uber-heel. This match is the classic archetype of good versus evil, and I expect the crowd to be just as into this one as the competitors. The poster for this event shows these two with “CRIME SCENE” tape plastered across the front of them. I expect nothing short of complete brutality. Prediction: Though I’m not quite as sold on Johnny Gargano heading up to the main roster as others seem to be, it’s the most likely scenario. Ciampa will win and Gargano will be banned from NXT going forward. Dude. This match is going to blow the roof off our doors (shout out if you used to listen to the Fantasy Focus podcast on ESPN). Andrade Cien Almas proved he’s one of the best in the business with his recent defenses against Gargano, and so you can color (M)excited any time he gets in the ring (sorry not sorry). Aleister Black won me over on a personal level back when he decided to jump into my friend Derek’s lap at a PWG event a couple of years ago. The guy is very unique and can GO. Look for these two to dare Seth Rollins / Finn Balor / The Miz to top what they do on Saturday night. 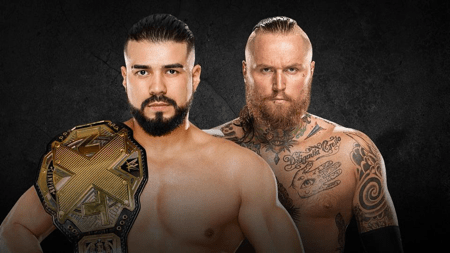 Prediction: Andrade Cien Almas wins with an assist from Zelina Vega, and this is only the start of the feud with Black. WWE’s annual fan convention is the last thing I expected to be writing about, but here we are. Why, though? They’ve announced some stellar in-ring action to take place at the convention itself, taking some attention away from the litany of independent shows going on at other venues around town. While they’ve put on exhibition matches in the past, they’ve decided to step things up and make these matches actually matter. Four tournaments will take place to determine #1 Contenders for the WWE UK Championship, the NXT North American Championship, the NXT Tag Team Championship, and the NXT Women’s Championship. The UK Championship Invitational will feature a variety of talent, from the much-anticipated debut of Lio Rush to recent 205 Live standouts Buddy Murphy and Drew Gulak. The NXT North American Invitational will feature the likes of Akira Tozawa and Hideo Itami, and even feature the debut of (formerly Donovan) Chris Dijak. 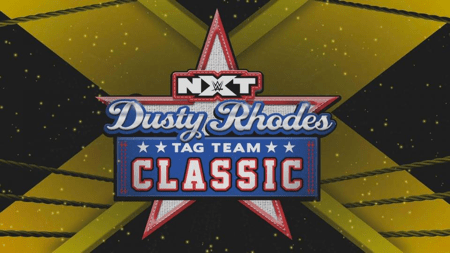 The NXT Tag Team Invitational ranges from Moustache Mountain attempting to make up for their Dusty Classic exclusion (due to injury) to SAnitY and (once and again) up-and-comers TM61. The NXT Women’s Invitational features a ton of NXT talent and is likely to set up a feud with whoever walks away from Saturday with the championship. 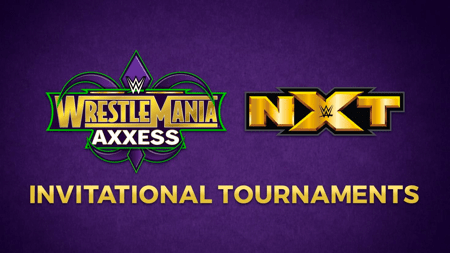 On Sunday morning before WrestleMania, the UK Championship, NXT North American Championship, and NXT Tag Team Championship will all be defended at Axxess. 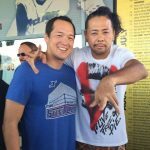 In addition to all of that, we’ll see various WWN and EVOLVE action at Axxess this year. From Kassius Ohno taking on the likes of Keith Lee last night and WALTER on Saturday, to both the WWN Championship and EVOLVE Tag Team Championships being defended this weekend, there will be plenty of fresh faces showing up in a WWE ring. I haven’t even mentioned the fact that PROGRESS talent will be there on Sunday morning, too, as either Travis Banks or Shane Strickland will defend the title, Toni Storm will defend her title, and the tag titles will be up for grabs as well. So the question is… stay out til 6 am drinking Hand Grenades and Hurricanes or get to bed a little early and make it over to the convention center for Axxess… As much as I’d love to catch all the in-ring action with some likely title changes, I think you know the answer. We had some friends in town already on Thursday, and we know several solid shows have already taken place, from everything Matt Riddle is doing to the WrestleCon Super Show, and beyond. The first show I’ll personally be catching takes place tonight at Joey Janela’s Spring Break 2. I heard so much good from last year’s ridiculous event, that I expect it to be a fun way to kick off the action. Before we even make it there, we’ll be swinging by Mega Ran’s Mat Mania event at One Eyed Jack’s, where we expect to see Joey Ryan be his very inappropriate self. Tomorrow, if you’re in town, catch us at WrestleCon, where you can meet the aforementioned Mega Ran, IMPACT Tag Team Champions LAX, and give Darrell a hug. For those of you in town, hopefully you’ll catch some of the other shows as well – from ROH’s Super Card of Honor (featuring Kenny Omega vs Cody Rhodes) to IMPACT vs Lucha Underground (featuring a blood feud match between Eddie Edwards and Jeremiah Crane) to the amazingness that is sure to be Minoru Suzuki vs Jeff Cobb @ Rev Pro. Plan your bathroom breaks accordingly. Don’t care about the United States Championship match? I don’t blame you. Make a run for the pisser. The Hall of Fame introductions is another good time to hit up the bathroom and grab a hot dog (or whatever). Don’t forget about the time zone difference. We’ve missed entire pre-shows before because we forgot just how early the show starts. Remember that the pre-show goes down 2 hours before the main card, and the main card is likely to last 5+ hours itself. No need to beat traffic. This is New Orleans, so hopefully, you just walked over to the Superdome from wherever you’re staying. Not super invested in Roman Reigns vs Brock Lesnar? That’s okay. We’re not either. We weren’t too into it a few years back in San Jose, but luckily hadn’t yet walked out of the stadium and got to see the Seth Rollins cash-in and win. Though that won’t be happening this year, it’s probably worthwhile to stick around and see what happens. I hope that helps. I realize a lot of it is about drinking, but that’s a big part of the New Orleans experience. That, and food. Get yourself some po-boys while you’re here (shrimp is great but don’t overlook roast beef!). Stop by Central Grocery for a muffaletta. Get beignets at Café du Monde. Find boudin balls if you can (trust me). And make some time to have a nice sit-down meal at Cochon, Emeril’s, or one of the many other fine dining establishments in town. If you have time to do something “non-wrestling”, the World War II Museum is fantastic. I’ve also heard good things about the aquarium (find me there on Monday, yo). Oh, and one last thing! The MUSIC. Don’t sleep on all of the free jazz and zydeco music along Bourbon Street and in the French Quarter. If you hear something good, pop in and grab a drink while you enjoy something a little different compared to wherever you’re coming from. After all this, RAW, and SmackDown, I’m probably going to need to take a very long nap and catch my breath from a whirlwind weekend of pro wrestling, drinks, and food. It makes me tired just thinking about everything we’re about to get into, but at the same time, I’m very excited to see old friends and make some new ones along the way.